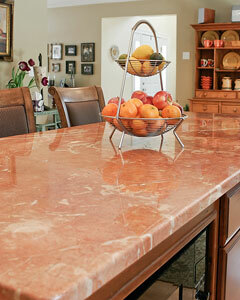 Kitchen countertops are perhaps the hardest-working surfaces in the kitchen. They are also a very visible part of the kitchen cabinets. 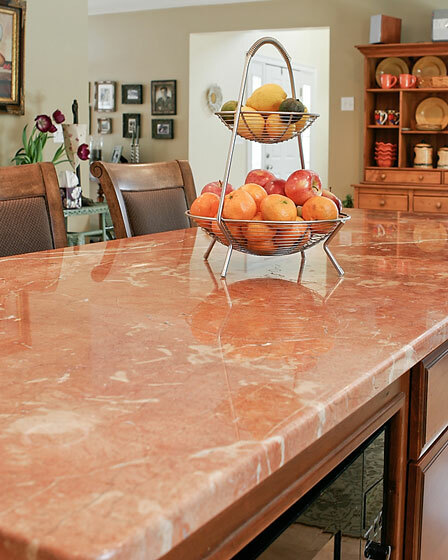 Because countertops must survive scratches, bangs, water, and food spills, and must continue to look attractive, countertop material should be selected carefully. There are options for every style and budget, and it's best to spend some time looking at the many choices before you make a decision. Be creative. Countertops affect the look and feel of the whole kitchen and can make a dramatic design statement. Just picture the sparkle of light on a highly polished granite surface or the subtle dark lines in a white marble surface! Ivanka, 37, took to Instagram on Tuesday to share a photo of herself enjoying Chinese takeout with her nearly three-year-old son Theodore. Daily Mail. Thursday, 21 Mar 2019 02:40:14 GMT. 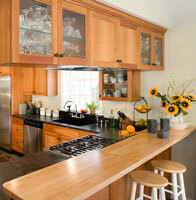 When choosing a countertop material, consider what tasks will be performed on that countertop. Do you want wood for chopping and slicing, or marble for pastry and candy making? How about stainless steel near a hot stove? Sometimes a combination of two materials on a countertop will give the best solution; one type for a work area, another for clean-up or eating areas. Think about what kind of sink you want: drop-in, undermount, or integrated. A drop-in sink can be used with any type of countertop material; an integrated sink only works with stainless steel or Corian-type solid surface materials; an undermount sink works with any material except wood. Be sure to investigate all the edge styles available and consider the thickness of the edge profile. For safety reasons, choose an edge that's not too sharp. After studying all these parameters, take a look at the available materials. Laminate countertops are inexpensive, come in a wide variety of colors, can have decorative beveled or flat edges, and can imitate the look of butcher block or stone. Solid surface countertops such as Corian are more expensive than laminate, but are nonporous and allow extras such as inlays, grooved draining areas, seamless backsplashes and integrated sinks. Stone countertops such as granite, marble, or limestone may be the most expensive choice, but have a luxury appearance and will last forever with proper care. Wooden countertops add a beautiful warm appearance to a kitchen; however, these tops must be sealed properly to repel water or they will warp. Metal countertops, such as stainless steel, can add a sleek feel to your kitchen. And then there are other material choices such as tile, concrete, or even glass. Tile can allow you to incorporate color and design into your kitchen, but the grout lines will need to be kept clean. 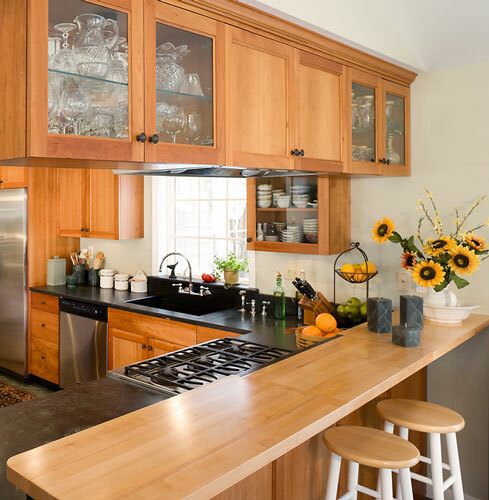 On KitchenCountertops.us, you can learn about the pros and cons of the various kitchen countertop materials, get connected to kitchen remodelers in your local area, and find a selection of countertop suppliers. Leading manufacturer of laminate and solid surface countertops. Dupont is a leading supplier of popular solid surface countertops. 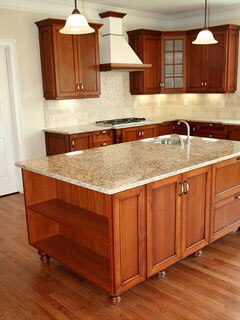 Countertops and kitchen sinks in a variety of solid and granite colors. Manufacturer of decorative laminates and solid surfaces. Innovative manufacturer of natural quartz countertops. Kitchen Appliances - major appliances and small electrics. Kitchen Cabinets - cabinet construction, styles, and materials. Kitchen Furniture - portable kitchen tables, chairs, and carts.